……they say there’s no such thing as a free lunch, but you could get 10% off it at Aroma, you lucky little blighter! For the price of a regular cappuccino, you’ll receive discounts and offers as well as a special treat on your birthday if you come and see us on the day! As well as a quality card to clear the ice off the windscreen!…..Christmas has come early! 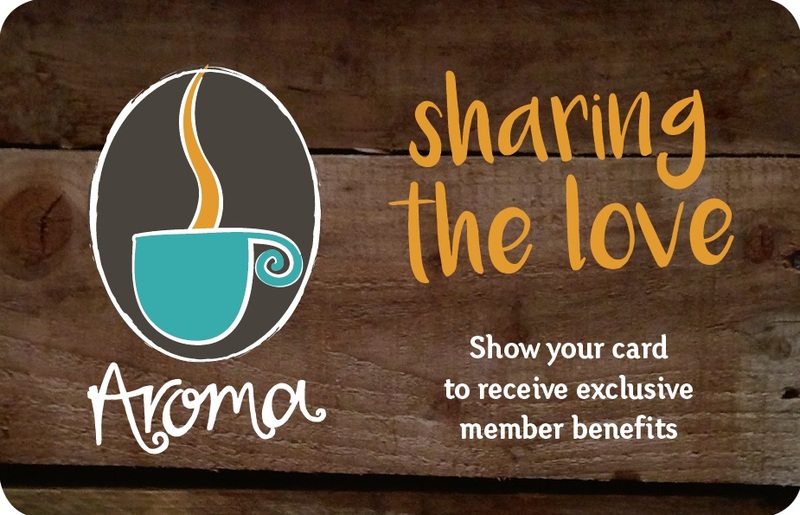 Pop in to Aroma Bridport or Aroma Lyme, fill out one of our special forms, hand over the wonga and you’re good to go! Pick that one outta the stingers!